Good morning and Happy Valentine’s Day to our Stitch This! readers AND to all the “Splendid” stitchers visiting us for the first time! 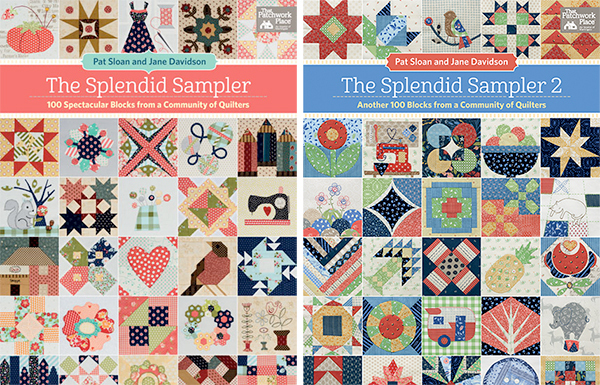 We’re honored to be the publisher of Pat Sloan and Jane Davidson’s two best-selling books: The Splendid Sampler and The Splendid Sampler 2. Pat and Jane have united quilters from all over the world with their books and their Splendid Sampler Sew-Along Facebook group, which you can visit anytime for a melting pot of friendship, education, and inspiration. 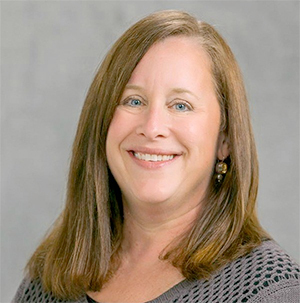 Today’s a special day, as Martingale’s own Publisher and Chief Visionary Officer, Jennifer Keltner, is hosting the delightful quiltmaking journey known round the world as the Splendid Sampler Sew-Along. There’s Always One is the name of the block Jennifer designed for The Splendid Sampler Sew-Along—if you’ve been quilting along since the first Splendid Sampler book, you’ll remember her adorable At Home Anywhere block (right). 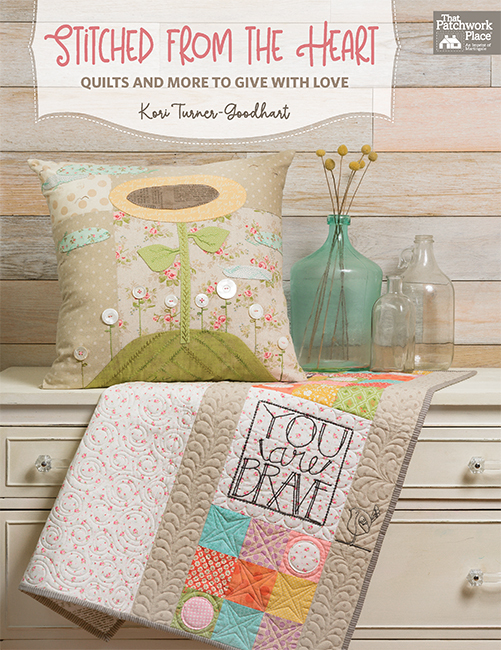 In The Splendid Sampler 2, she’s created a Flying Geese–style block that reveals a little more about her love of quilting. Here’s Jennifer to tell you more. “My block is called There’s Always One, because in my life, there’s always one. One more idea, one more thought, one more chance, one more thing I have to complete, one more thing I want to do . . . you get the idea. In my quilting life, I dream of being a precision piecer with an ultra-organized work surface and all my patchwork pieces lined up with military precision. But my dreams are indeed not my reality. I tell my sewing buddies that I’m a serial encroacher, with my sewing supplies leaking into shared spaces. I like to chain piece, but I also like to see a block come together. Consequently, I start and stop more than I should and scurry between my machine and ironing board and stop to grab a cup of coffee (or two) in between steps. The result? I get to use my seam ripper more than most, because I sew the seam on the wrong edge, or I get the pieces turned the wrong way when I pick them up. It used to drive me crazy. Now, I just accept it as part of being me. I love to quilt. I love to retreat and sew with friends. I might as well embrace it all! Why not? So rather than stressing when I find an error in my block, I just remind myself that there’s always one. Friendly disclaimer: If the orderly among you can’t bear the thought of turning that one Flying Geese block upside down, go ahead and sew them all pointing in the right direction. Not everyone appreciates a misfit in the block crowd. I’m not one for sewing with too many gadgets. But after sewing alongside some of the best quilt designers I know, I noticed one gadget that kept appearing on their cutting mats: the Bloc-Loc Flying Geese ruler. Cutting is my least favorite part of the quilting process; sewing oversized blocks and trimming them down isn’t a technique I’m drawn to. But, I gave it a try, and guess what? The Bloc-Loc Flying Geese ruler gave me a perfectly shaped unit every time. 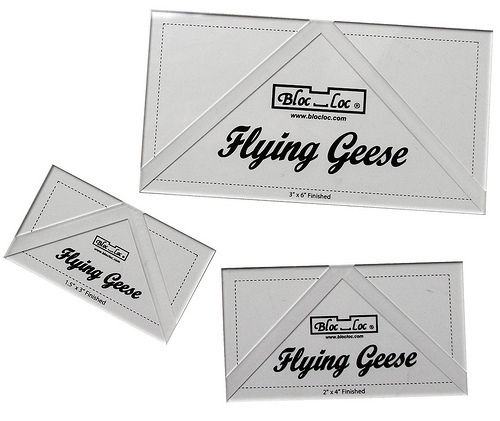 So, if your flying geese aren’t all you want them to be, try a specialty ruler like Bloc-Loc. You might just like it! 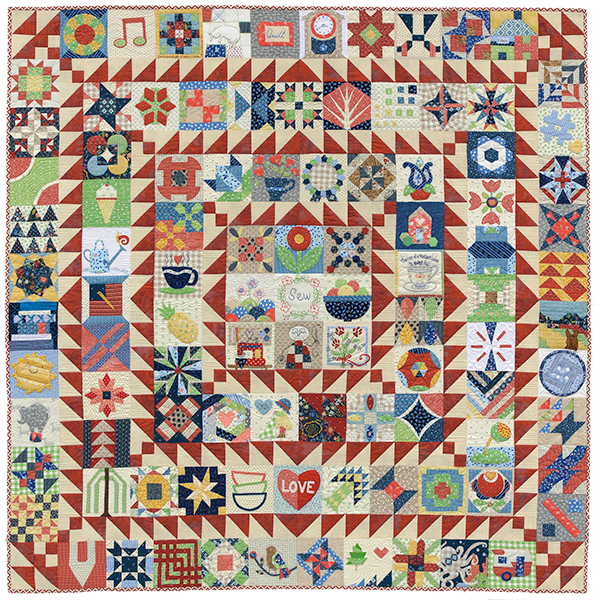 Can you spot Jennifer’s block in Pat and Jane’s 100 Blocks + 1 sampler quilt below? 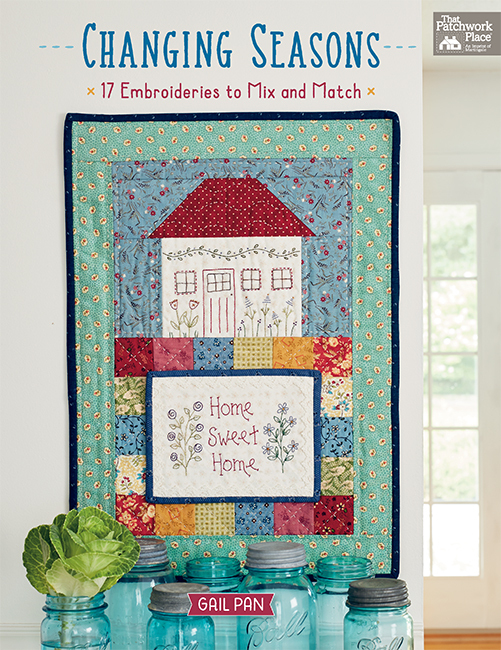 You’ll find a link to download complete directions for making four beautiful sampler quilts, both big and small, in The Splendid Sampler 2. 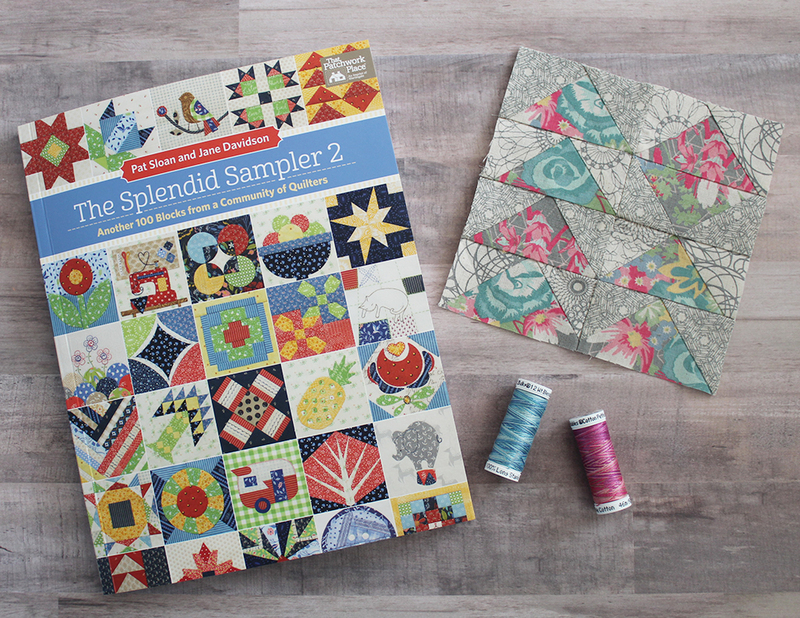 Have you been following the Splendid Sampler Sew-Along? 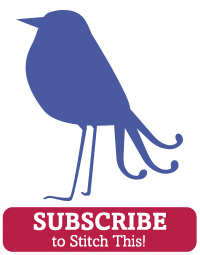 Yes, every block, every week, every month since the beginning! Yes, and sometimes I keep up! Tell us your Splendid experience in the comments! Thank you for being part of our Project Jennifer!! I have loved your block since you showed us the sketch, it’s so perfect! Sorry I have not been keeping up! Life gets in the way sometimes. It is beautiful and I would love to make it at some point. I have followed along the the Splendid Sampler. I love today’s block from Jennifer. I love Flying Geese and definitely agree. Those Bloc Loc rulers are the best. I also love their triangle in a square ruler. I have been following since the beginning but have not pieced the blocks yet. I like flying geese very much. Yes, I have been following the Splendid Sampler Sew-Along. Sometimes I keep up but much of the time I come in behind. I also believe I could use more practive on making the flying geese block. I hadn’t even realized it but I have been avoiding flying geese – after one not so great attempt. I think this is just what I need to move past this geese road block. Thanks for the tips!! I have not followed along, but this was very interesting. Thanks. I have been following and downloading the patterns but I’m so far behind sewing the blocks. Hope to catch up some day. I haven’t started but love the project. I haven’t been following the sew along. But, I love the blocks. Flying geese is not my favorite block to make. Perhaps I’ll be able to make them your way with a lot less swearing and ripping in the end. As hard as I have tried, I cant keep up. Your block is wonderful! I know it will get finished this week! I like that there is an obvious imperfection! It makes it much more interesting! Thanks! Not yet but the group and the books sound fun. So many blocks. Unfortunately family demands have taken up most of my time for some months now but I definitely have this book on my wish list! I’m not part of it but it sounds fun! I love this but need practice making flying geese. I have been following along for a while. I even bought book 1! But I haven’t made any of the blocks yet. I’ve been sewing every week with SS2 from the start, and I’ve even purchased the SS1 book to add a few of my favorites from that book into my quilt. While I’m more into oversized modern blocks I have found I really love the precision of these smaller scaled blocks. Every week has been a lot of fun. As to the ‘there’s always one’, I think that describes me! I’m glad that Martingale has supported the idea behind this project. It’s a community coming together, and I have definitely broadened the group of quilters on social media who I follow and whose work I admire. Thanks Jennifer and everyone at Martingale! Have been following along from the beginning. What an amazing journey. So far l have learned that l am not very good with needle turn, and my embroidery needs help. Lol. That has not stopped me from going forward. 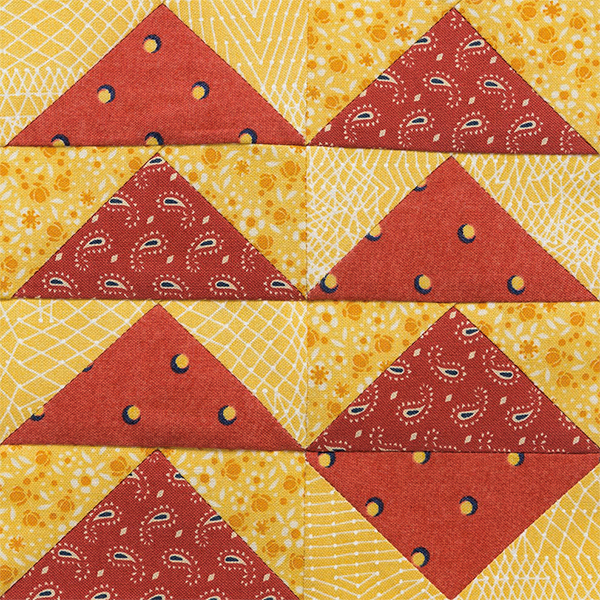 The flying geese block is wonderful,nice to meet someone that really knows how to use a seam ripper, like myself..Lol! I’m a hand stitcher. I tried my first flying goose black a couple of weeks ago. I really wasn’t that hard. I am looking forward to doing lots more. Yes, I’ve followed since the beginning, but sadly haven’t been able to keep up making all the blocks. I’ve made several blocks from the first book and used them in different projects but haven’t made blocks from the second book but like the different blocks a lot. I am not one but I would love to give it a try and quilt a block. Not participating in the SS2, but I periodically check and see what is going on. 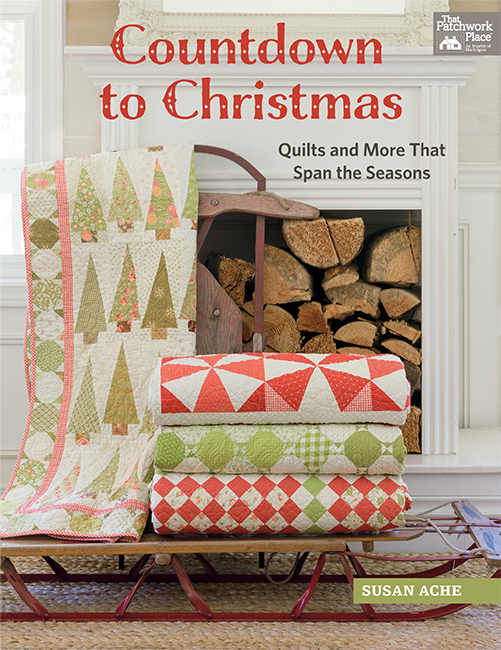 I do own the first book and have made small quilts using some of the block designs. Happy Valentine’s. I have been curiously reading the links and viewing the blocks for the Splendid Sampler for the past two months. Well, drawn in I’ve ordered the book and will take up the challenge to work on this sampler. Blocks are really creative and I’ve enjoyed the designers stories. I’m off to a new challenge! Yes, every block, almost every day,every week, every month since the beginning! I am up-to-date to today! Love this amazing quilt! Yes, I have been following Splendid Sampler 2 from the beginning and I love making the blocks even if they don’t turn out exactly 6 1/2 inches. Have managed to keep up until last week; fell behind a little bit. Want to order the first book too. No I haven’t been following but it does look like fun. I have been a Splendid person since the first block from book one was introduced 3 years ago today. Sometimes I get the weekly assignments done, lately it’s weakly. Flying geese challenge me but, I’m getting better. Like your block and look forward to stitching it when I get the sewing room put back together, new windows have disrupted my life. Have not been sewing from the Splendid book, but thinking about trying this Summer. Looks like it would be fun. Haven’t started yet, but would really like to. No. I don’t think I could keep up. But the blocks are interesting. So maybe I will try a few of them. I started out keeping up really well but it has been harder since we switched to sewing 4 blocks each week. A death in the family, Christmas, and a planned vacation put me behind but I’m working hard to catch up! I love the block “There’s Always One” sums me up in many different ways! I have been with the Splendid Sampler since the day one of first book. Although I haven’t finished all the first, I’m still making them & the second at the same time. But life threw a curve ball! But I’m still working them in. My thoughts on the Sampler… well, it’s probably the biggest gathering of people working on the same goal ever! It’s a community like I’ve never seen! It would really be something if the communities in real life, were as good to everyone and kind & helpful as we are to each other in the Splendid Sampler 1& 2!! I commend Pat Sloan & Jane Davidson for coming up with this great idea, & seeing it through twice over! And Martingale & of course Aurifil for backing them so good! I thank every participant who designed a beautiful block to be a part of such a wonderful thing! Not yet but maybe I will join in. I started when Splendid Sampler, the first book, was new and I sewed two blocks a week and finished the quilt with 110 blocks. I’m one of those people that starts and never finishes anything and I’m very proud to say that I stuck with it. It made a gorgeous sampler quilt and every block reminds me of the story that went with it. I love to show the quilt to people and they stand and look for a long time at each block. Life got in the way and I could not start on Splendid Sampler 2. I am so thankful for Pat and Jane and have put their names on my quilt label. Thank you to all of the designers that made it possible also!! Hi, I participated in the first Splendid Sampler and thought that the second one would probably be the same but love the new blocks and talent so I am going to join in the fun next week. Thank you for a great block! I believe I have splendid quilt in the six tubs of blocks left over from years of quilting. I like my lay out to flow like it has more of a balance and not look out of place from it neighbor block. I am making Linus quilts from my mess. I haven’t been following but since retirement is just around the corner, more time at the sewing machine and making more quilts. 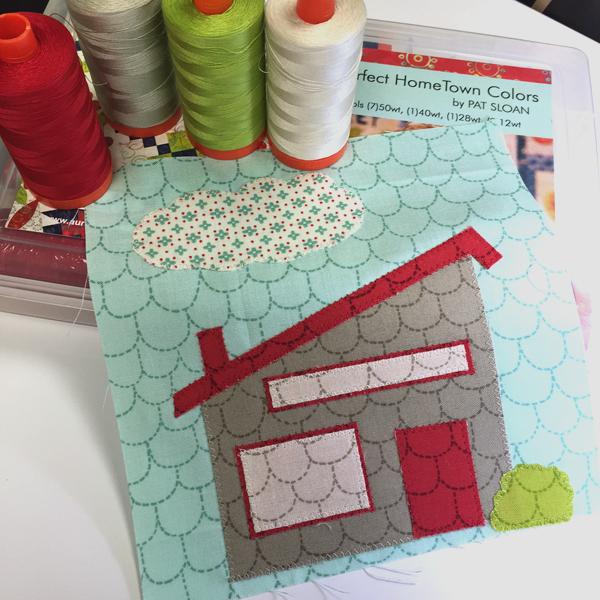 Love the Flying Geese block! I like to turn 2 geese sideways when I make tablerunners. Sometimes creative minds think alike!